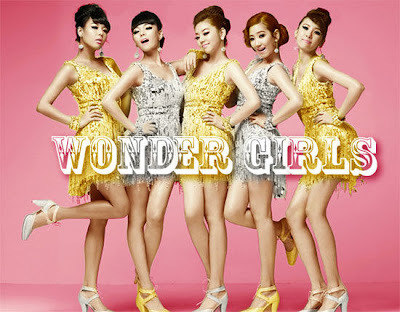 Korea Information Blog: Who are the WONDER GIRLS? So far, they have released 4 albums and three songs have been enormously popular. First of all, the most successful song is 'Tell Me' in 2007. This song was sampled from Stacey Q's Two of Hearts. During the time when they performed 'Tell Me', there was a big wave of UCC (User Created Contents). Thousands of people put up videos of themselves dancing to 'Tell Me' choreography. Some of them got really popular and actually performed on various TV stations. This video below is one of my favorites. After this hit song 'Tell Me', they came out with another hit song 'So Hot' in Summer 2008. With this song, they achieved another astonishing success. In September of the same year, they approached to South Korean people with the mega-hit song, 'Nobody'. With this song, they won many awards such as 'Song of the Year', 'Best Music Video' and 'Best Female Group'. In addition, they received 'Artist of the Year' at the 18th Seoul Music Awards. In 2009, they have been very busy. At first, from February to March, they had concerts in Thailand, U.S.A., and South Korea. 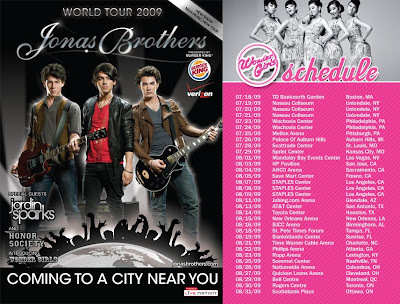 Afterward, they have been touring with Jonas Brothers as opening guests. They plan to release their full-length English album in November (maybe later). BEST OF LUCK TO THE WONDER GIRLS!